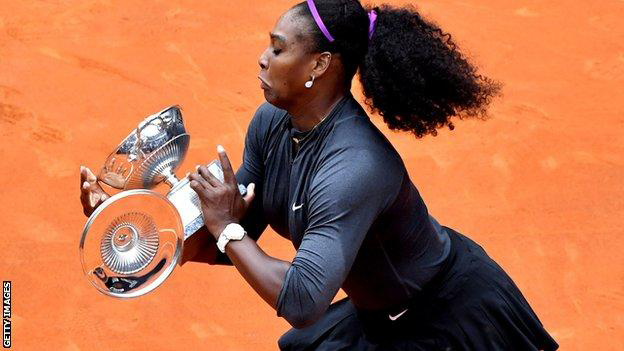 Serena Williams beat Madison Keys in straight sets to win the Italian Open - her first WTA title in nine months. 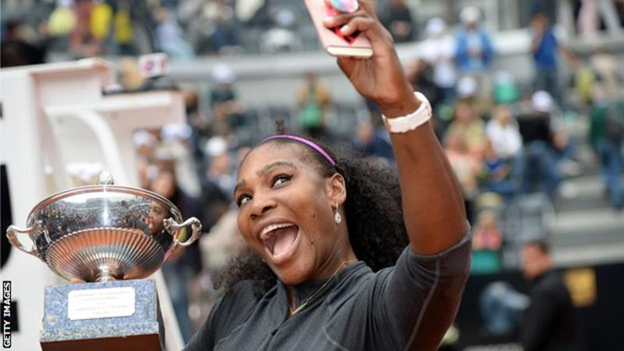 The world number one beat her fellow American 7-6 (7-5) 6-3 to triumph in Rome for the fourth time since 2002. Williams, 34, last won a title in Cincinnati in August, and has since lost finals at the US Open, Australian Open and Indian Wells. She will begin the defence of her French Open title when the tournament gets under way next Sunday. "I have tried to defend there once, twice, three times before," Williams said of the Paris Grand Slam. "It didn't quite work so well. But this year is different. I'm going to definitely go in there and I feel more calm and I don't feel stress to have to win. "I feel like I just am happy to be out here." Williams showed the value of experience as she claimed her 70th career title in her 89th final - with Keys playing only her second. Keys, 21, broke serve in the opening game and matched Williams for power throughout, but a loose service game allowed the top seed to level at 3-3. Williams edged the tie-break, sealing it with a heavy serve, and raced into a 3-0 lead in the second. Two poor games followed, suggesting the 21-time Grand Slam champion is still some way from her best, but she saw out the set and the match after one hour and 24 minutes. "It feels great," Williams said of finally winning her 70th career title. "I have played, let's see, US Open, Australian, Miami, Indian Wells. So it's only four tournaments. So it's not like I was playing every week. "So that's kind of how I look at it. 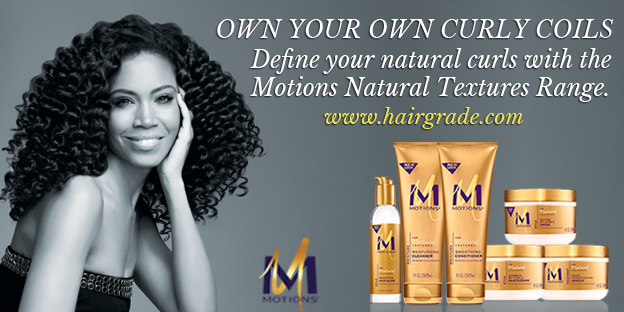 But it feels great to win a title, especially on clay."